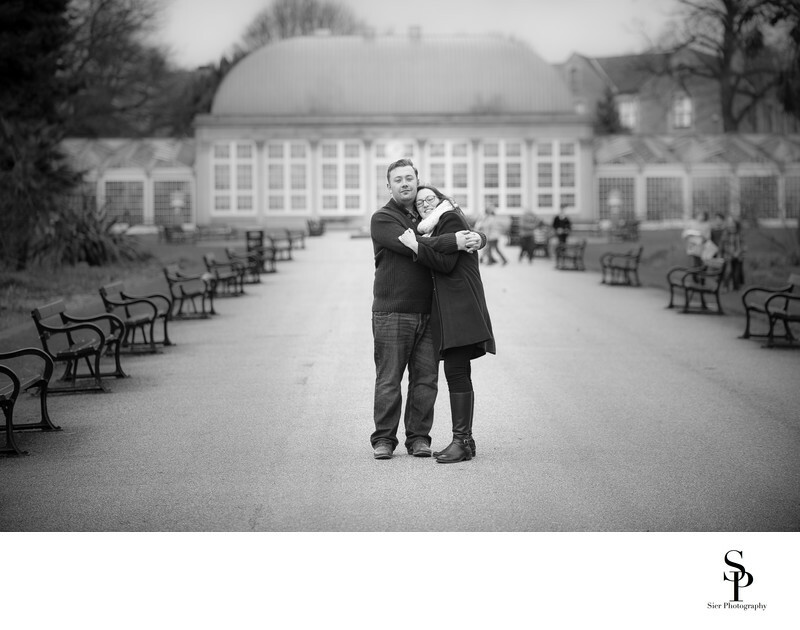 We had such a fantastic time with Kate and Matt on their engagement photography session. I love this image on the central path leading up to the glass houses in the Sheffield Botanical Gardens, and with the addition of the image being converted to black and white rather than the colour it was shot as really brings out the cold of the April morning! I took this with my wonderful Nikkor 70-200mm f/2.8 VR @ f/4, a wonderful lens for this type image, it has however been replaced (twice) with the 70-200mm f/2.8 VR II and now with the 70-200mm E version of the lens which is in a different league altogether. 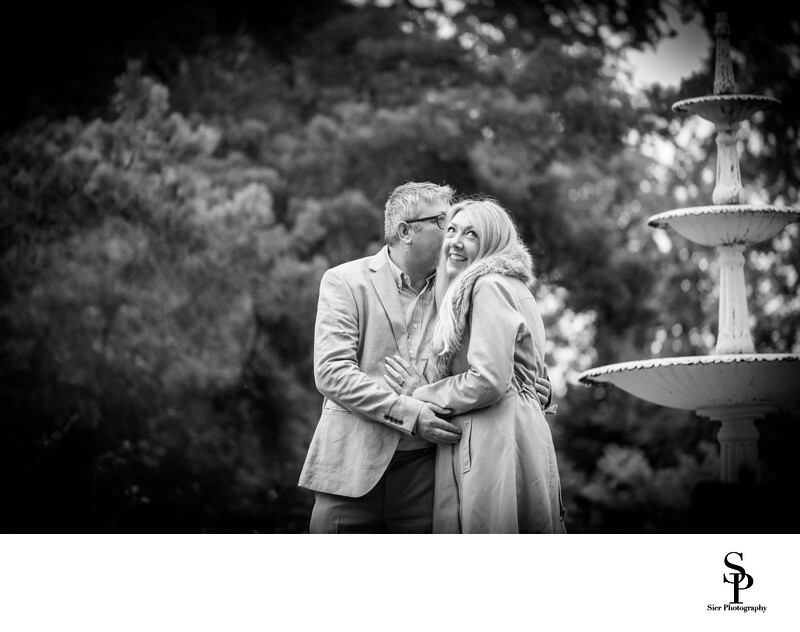 Your engagement photo shoot can take place at any sensible location provided it isn't too far away but we really love to take couples to the Sheffield Botanical Gardens for a wander around and a few photographs. The gardens are so beautiful at any time of the year and allow plenty of opportunities for photography. 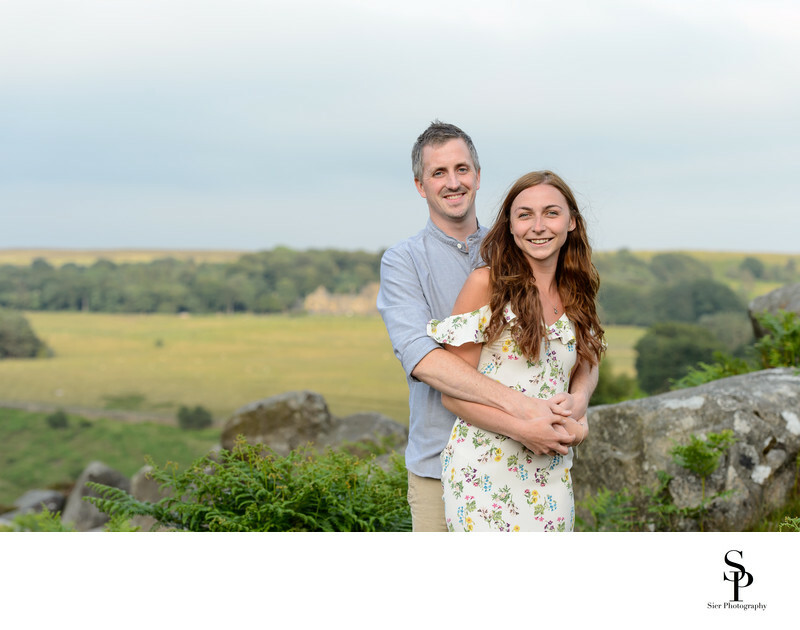 We love to do pre-wedding or engagement photography sessions and tend to use the term interchangeably, just because you have been engaged for some time doesn't remove the desire to go out and capture some stunning images for you. Not only can the image be used for a framed signature print for your guests to sign on you wedding day, it also serves two other purposes. Firstly, unless you are both models you probably haven't been photographed professionally before, secondly we can see how you interact with each other as a couple and we all get to learn a little more about each other which helps break the ice ahead of what is like to be our next meeting on your wedding day. 1/800; f/2.8; ISO 200; 120.0 mm.